Give your pup or feline friend the supreme health benefits of a raw diet in Only Natural Pet RawNibs Beef & Tripe. 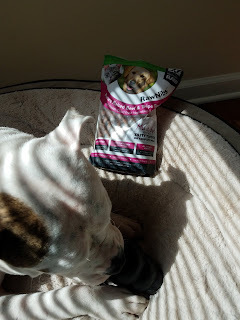 The easy-to-feed, bite-size nibbles are never cooked, heated or steamed, but are freeze-dried to lock in flavor and nutrition. It’s great as a complete meal, a healthy topper or nutritional boost, or even a healthy, raw snack on the go. 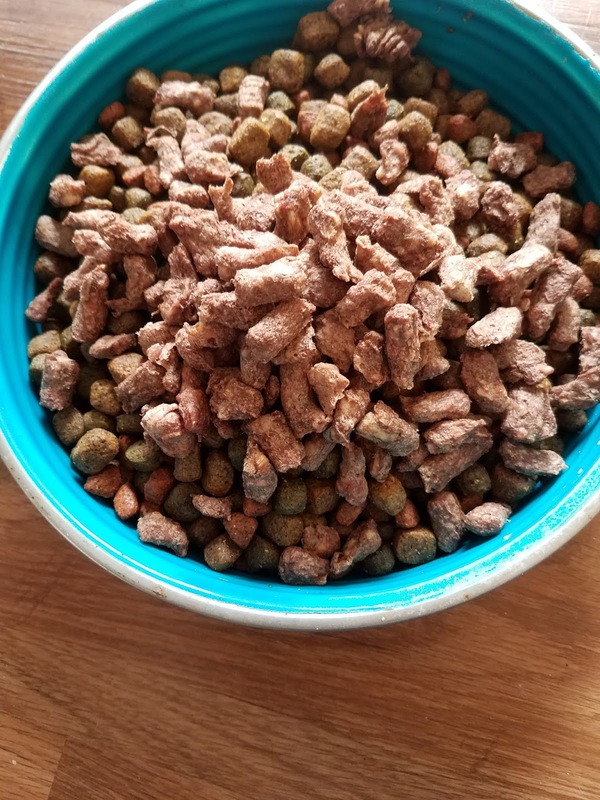 This holistic formula contains raw freeze-dried, beef and organ meat for a tasty kibble with maximum nutritional benefits. It’s filled with fresh whole vegetables and fruits, such as sweet potatoes, broccoli, and apples for a nutritional powerhouse packed with fiber, potassium, vitamins and minerals. Plus, organic goat’s milk—rich in electrolytes, enzymes, protein and fatty acids—making it easily digestible for your furry friend’s stomach, and no grains, soy, corn or wheat. Harley was lucky enough to be chosen to do a 30 day trial of RawNibs and she seems pretty excited about it! 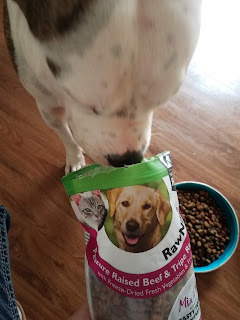 This vet-formulated food can be feed as a topper or complete meal. You can even stuff it inside dog treats for a fun and stimulating play-time with a tasty reward! 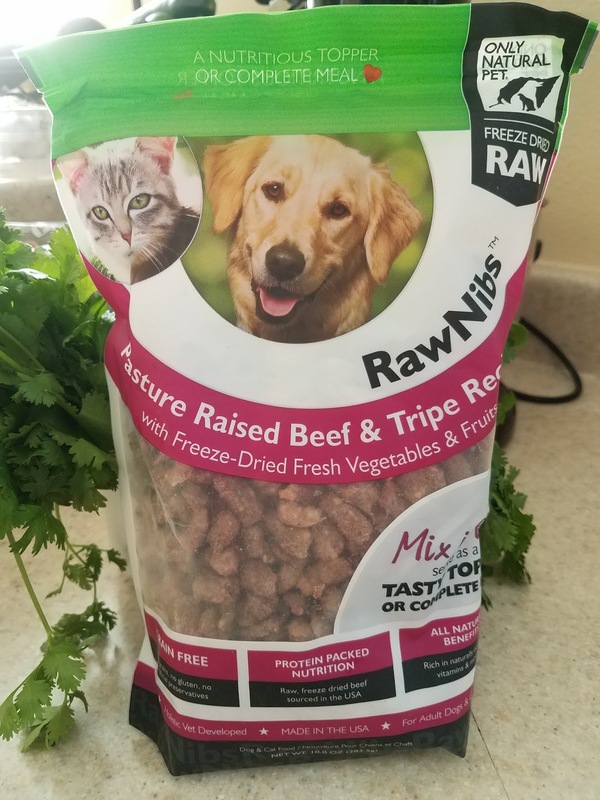 RawNibs features real beef and organ meat along with veggies and other organic ingredients for an amazing balance of antioxidants, electrolytes and healthy fats in every bite. It is safely made in the USA without the use of grain and comes in an easy-to-use resealable package. She has a blast getting every last piece out! We've noticed a smoother coat and more regular stools since starting her on RawNibs two weeks ago, both are great benefits! You can find Only Natural Pet RawNibs Beef & Tripe Grain-Free Freeze-Dried Dog & Cat Food at Chewy.com. This is a fairly affordable option for a raw diet at just $19.99 for a 10 oz bag.